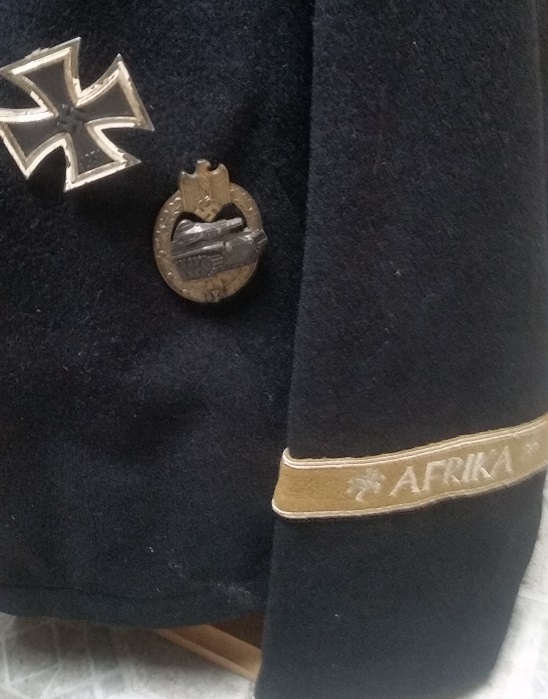 A black second type wrap for an Oberleutnant in a Panzer Aufklärungs Abteilung. The wrap is marked in black ink with size and B37 for the accepting depot and date. It features matching piping in golden yellow around both the collar and the Panzer collar tabs. 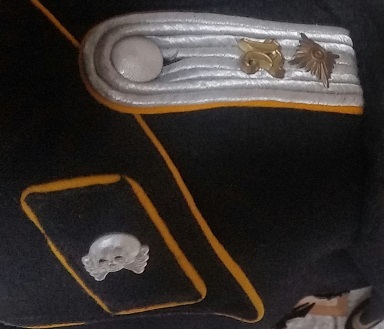 The original collar tabs were removed and re-piped using the replacement golden yellow material and then the tabs were re-sewn by machine back onto the collar, at the same time, the collar's original piping was removed and replaced with the same type of piping as used on the collar patches. The sew in shoulder boards feature the gothic 'A" device. An AFRIKA campaign sleeve band is period sewn to the lower left sleeve. 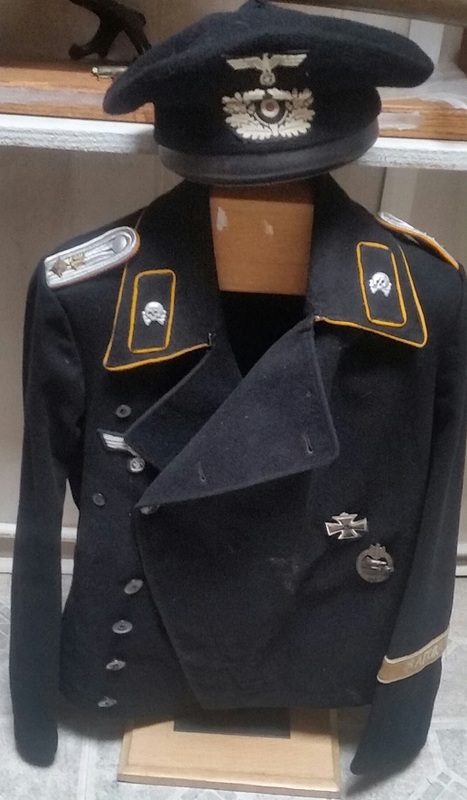 The two sets of loops display the officer's Iron Cross and Panzer Assault Badge. Ex-Robert Edwards collection and offered with multiple CoA's.